Is Mental Illness Socially Constructed? 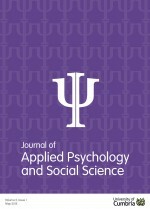 This paper will critically analyse, how the use of a bio-medical model, philosophically rooted in positivism and a diagnostic language that confuses “truth” with diagnostic perspectives has led to an obsession with “compliance” on a global scale and a failure to recognize how medical discourses have negatively influenced how peoples’ illnesses are experienced, depicted and viewed within society, with specific reference to schizophrenia (Walker, 2006). There have been endeavours by psychologists to homogenize language classification and diagnostic systems across cultures, making the diagnostic criteria universal (Marsella & Yamada, 2010). However, this ethnocentric bias has led to frequent misdiagnosis and ethical harms as it is often taken for granted how certain illnesses are culturally taboo and have particular social and cultural stigmas (Conrad & Barker, 2010; Hassim & Wagner, 2013; Li, Hatzidimitriadou & Psoninos, 2014). This paper concludes that current diagnostic systems are too positivist and clinicians need to aware of the social constructionist element in the diagnosis of mental illness.